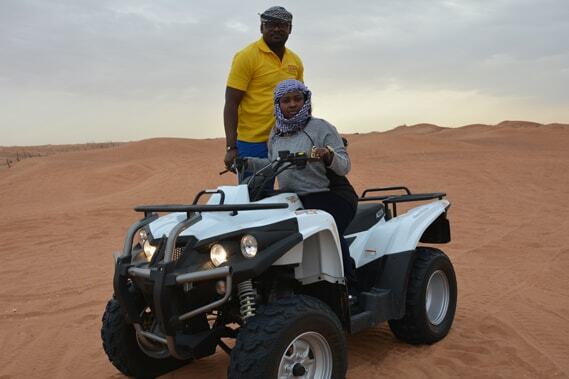 It’s time to experience the fun of the Dubai desert. 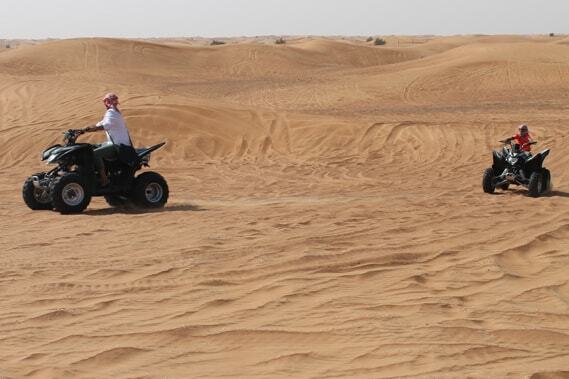 Pack off your work and explore the dunes of the Dubai desert on quad bikes. 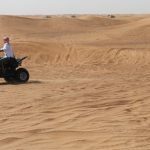 The Dubai desert is full of surprise, astonishing divergence, and challenging terrains; conquer the ever-changing dunes of the Dubai desert with quad rental Dubai. Do you love adventures? Do you want to enjoy the rush of adrenaline in your body? 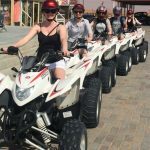 Quad bikes adventures will make you want more; if you are a tourist make your vacation a memorable experience by riding a quad-bike in Dubai. 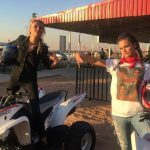 A quad rental in Dubai requires no previous training, and anyone can opt for it; whether you have never tried off-road driving or you are a skilled rider, rent a quad bike and experience a thrill of a lifetime. 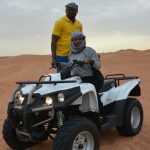 If you are willing to use your weekend or vacation to explore and relish the beauty of Dubai desert; rent a quad bike and enjoy the incredible feelings of riding through the Dubai desert. 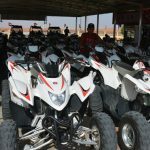 There are numerous high quality quad bikes available such as the Yamaha Raptor 700cc to give you the best experience ever. 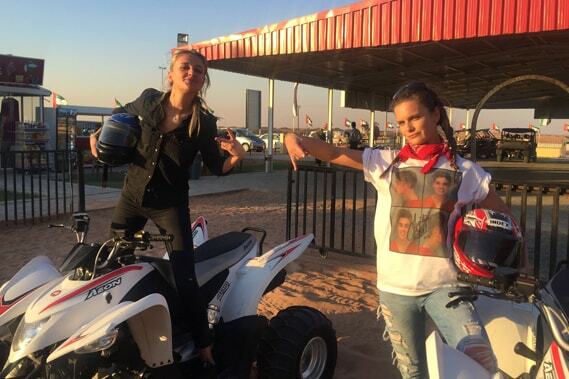 Before you start thinking about joining this most popular sport in Dubai, keep in mind that quad biking in Dubai, while fun, can be dangerous. 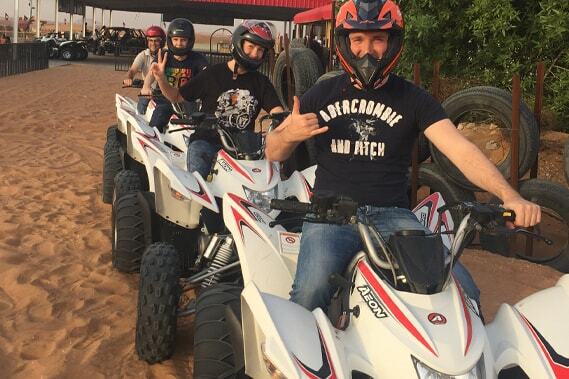 Quad-Biking in Dubai isn´t like driving a car or a motorcycle. 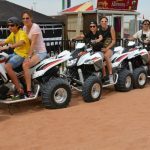 These safety tips are essential if you are new to Dubai quad riding. Our goal is to keep you on four wheels all times. If you are already a veteran on the trails, little is more valuable than a refresher course about to bash the big dunes. This is the most important part. We provide a wide range of safety equipment that you are free to use. But recommend used the full set of racing helmet, goggles, boots, gloves, chest-back-knee-elbow protector kits. There aren´t any seatbelts on quad and flipping over is easier than you might think. We want you to be prepared and walk home healthy. Pre Ride Inspection This is actually our job but it be mentioned here. 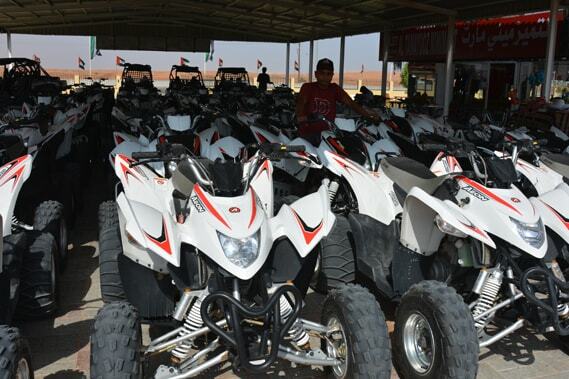 We perform a pre-ride inspection every time we start a quad-tour Dubai. We check the tires and rims for damage, look over the controls and make sure all connections and cables are intact. Chain, sprocket and engine service is a must for us every day. 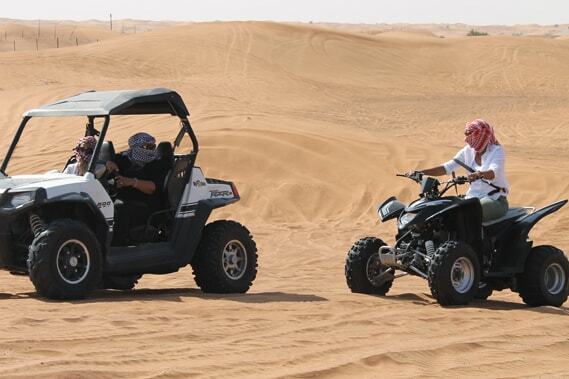 A perfectly working quad bike is the base for a safe ride in the Dubai-deserts. 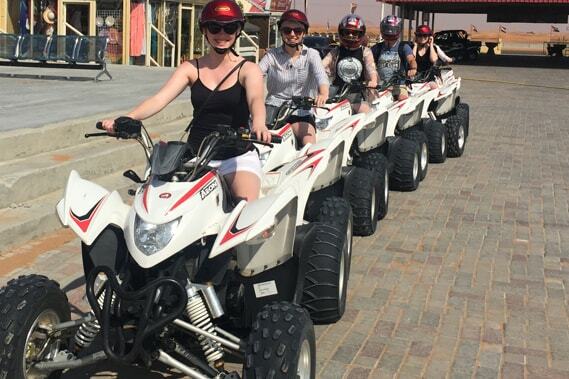 Don´t leave your group Participating in our quad-bike tours Dubai has the advantage that there is always someone around you to support. Accidents can happen and they do happen. Stay with your group and don´t try to explore the desert alone, that’s never a good idea. Running out of gas, getting lost or crashing isn´t any fun and it’s worse if you are stuck alone somewhere in the sand where nobody can see you. No alcoholic drinks or medicine before the ride quite clear rule. 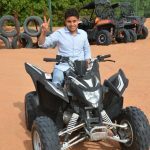 It’s not safe in a car and it’s especially not safe on a quad where there isn´t any roof or seatbelts. Alcohol, medicine and drugs can impair your judgment and your ability to ride safely. Don’t put others at risk for your risky behavior. Leave the beers for the evening when we return to our camp. 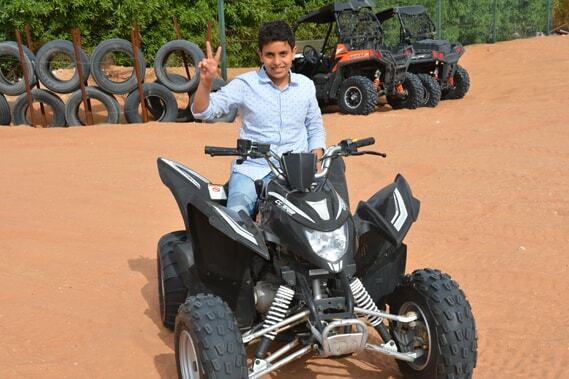 Don´t ride if you are tired or feeling weak Quad biking in Dubai is actually a great way for a workout. You need strength and mental acuity. All those bumps, jumps and tight corners wear down even the strongest people. If you don´t feel 100% fit on the day of your tour, don´t start riding. 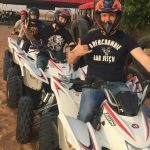 If you are getting tired on your tour, simply take a break, your Quad biking Dubai guide will provide you with water to refresh. Even if you don’t feel tired, take a break from time to time, rehydrate and fuel up with some snacks. 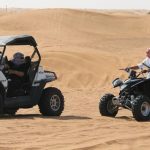 One rider per quad It´s not safe to head into the massive dunes of Dubai with a passenger on board. This can cause interruption of balance in corners and make you crash. 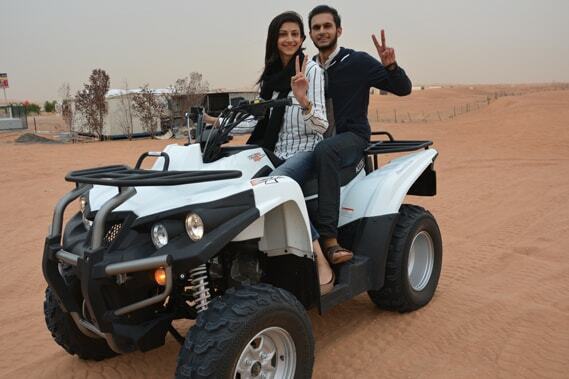 Dubai quad bike tours with a passenger on board are only allowed in allocated areas. Follow your guide don’t ride your Quad anywhere but in the riding line of your guide. This is for the safety of you and others because the guide checks the terrain for the group and decides for the safest route. Soft sand bowls, dangerous bumps and plants can appear quick after every dune. Your guide is your second pair of eyes, use him. It also prevents unnecessary wear and tear to your machine as you might get stuck away from the designated line. Ride where we ride and you will enjoy the trip. 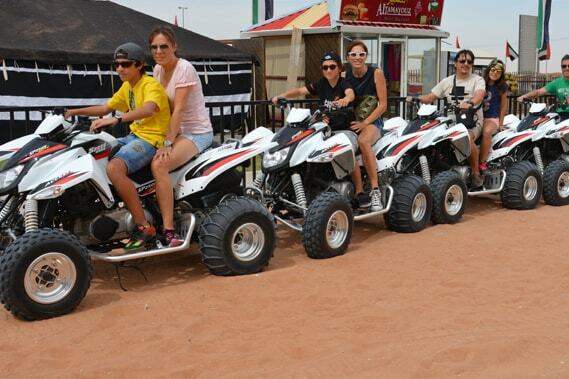 If you want more action, the guide will show you the best spots for dune bashing in Dubai. Pay attention to your surroundings Even though the guide is you additional pair of eyes, don´t forget to use yours. Watch your surroundings. Continuously check where the other riders of your group are. Keep distance to the rider in front of you to avoid a crash if he falls or got stuck. Look far ahead over the next couple of dunes just like driving a car so you can see what’s coming. Small bumps are fun but when you hit one unexpectedly you can get kicked right off your quad. Don´t show off This it probably one of the most reasons ATV bike riders get hurt. Wheelies, jumps or 360s seems fun but they can end up in bad crashes with serious injuries if the ATV bike lands on you. Just don’t ride beyond your ability and don’t perform any stunts or tricks. For more information this tour or bookings contact us via our contact form or simply send us a whatsapp message so, we can send you a quick reply.